This is the first of a few Articles I hope to get from the members of the Parachute Mobile team from their various operating positions. This is from Daryl and Rodna who where up on Mt. Diablo for the day. Darryl (KI6LDM) accompanied by his wife Rodna (KJ6GVQ) served as Parachute Control FROM 3,800 feet on Mt. Diablo. This elevation gives Parachute Control the ability to hear all traffic between drop zone / Tack Ops, the Pacificon station, the ComVan station and all amateur station QSOs with the jumpers. It was a very lovely day on Mt. Diablo as you can see from the photos, sunny with a small amount of overcast skies with the temperature in the mid 70s. 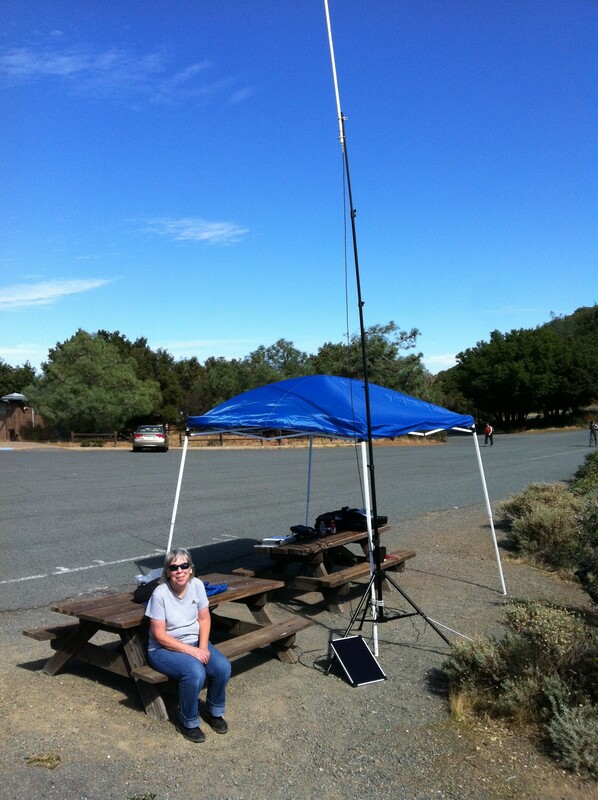 My equipment was 2 HTs with small 2m/440 whip antennas, an ICom IC-7000 HF/VHF/UHF radio, and a Ed Fong 2m/440 PVC antenna mounted atop a 19 foot Budypole mast. For power, I used a 7amp hr led acid battery for the HTs and a 20amp hr battery for the IC-7000. I also had a 5w solar panel connected to the 20amp hr battery just to slow down the power draw. We operated from 11am until 4:20pm after the 3rd jump had been completed. 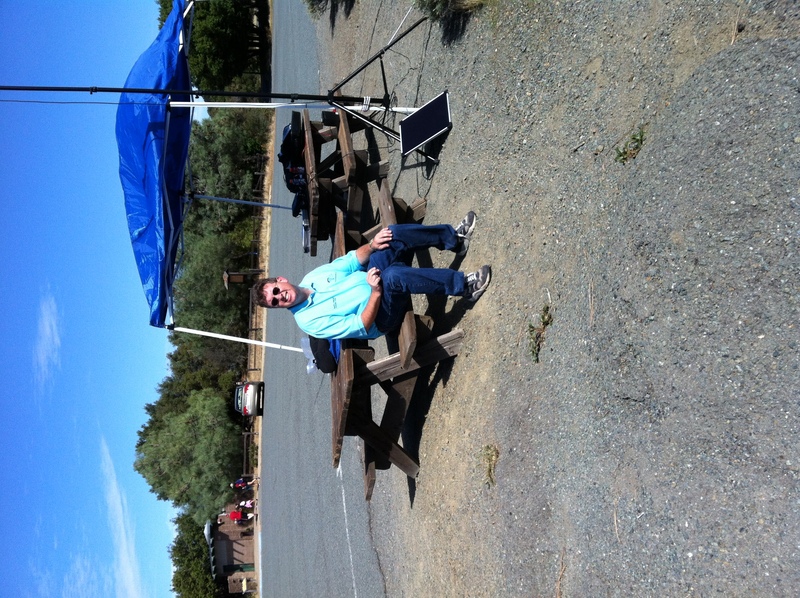 It was a real thrill to be parachute control, to give the QSTs and to foster the QSOs for the jumpers. Rodna got to work both jumpers and enjoy the beauty that comes from being on Mt. Diablo. The whole event was a great success and I was very grateful to be a part of it. I just hope these guys are licensed. Is he Polish? SP1DER? 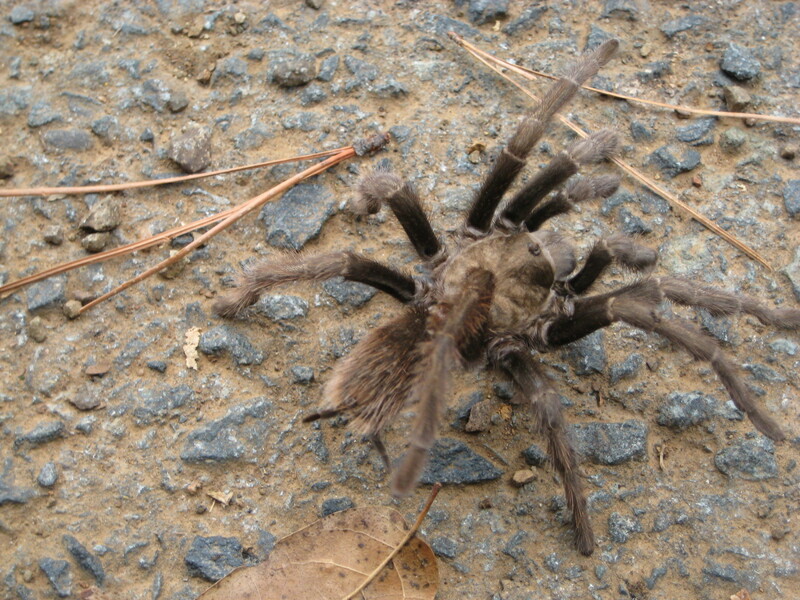 These guys are all around Mt Diablo. Will we have another great Jumping event again at Pacifcon 2012?